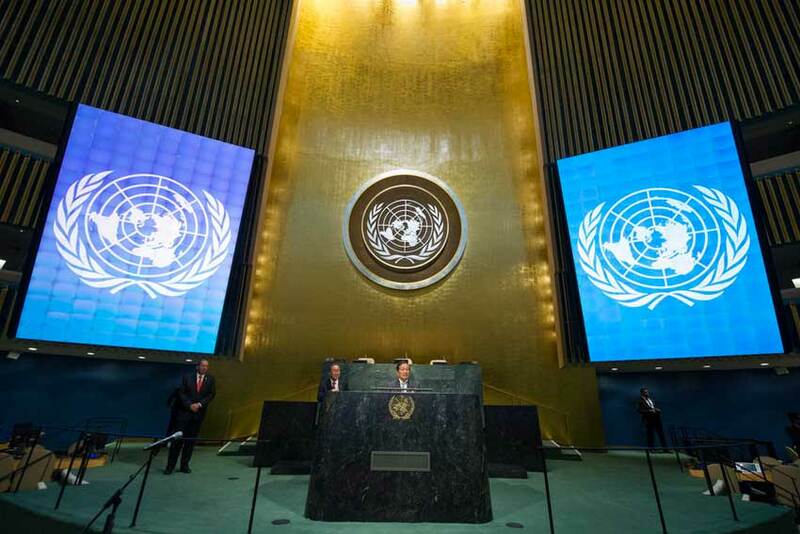 The 72nd session of the United Nations General Assembly (UNGA) will convene today in New York City, where President Donald Trump will give one of the first speeches to open debate. As the UNGA tackles issues ranging from climate change to migration, UN member states will have the opportunity to sign the newly negotiated Treaty on the Prohibition of Nuclear Weapons, a legally binding pact banning the development, acquisition, or possession of nuclear weapons among its signatories. The treaty was approved by a 122-1 margin on July 7, but 40 nations, including all nine nuclear-armed powers, boycotted the vote. Nonetheless, the treaty garnered support from surprising corners. Iran, which had a controversial nuclear program prior to the 2015 nuclear deal, voted in favour. Saudi Arabia, thought to be considering nuclear proliferation as part of its regional rivalry with the Islamic Republic, also approved the treaty. Given the vote margin, the treaty will almost certainly attain the 50 signatures needed to come into effect. Although the nuclear powers’ disinterest makes disarmament a dead end for now, the widespread approval of the treaty will help arrest further nuclear proliferation.